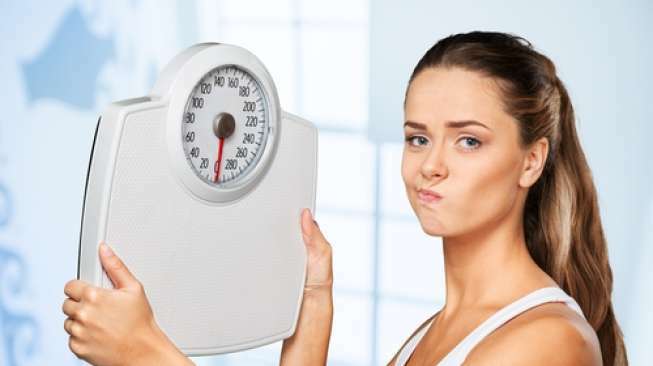 Panic because your weight quickly rises? Wait a minute. Maybe something is wrong with your daily habits. Because weight gain is not always because you eat a lot. There are various trivial daily habits that can unwittingly make weight gain quickly. Anything? Here's the review. Dense daily activities to a pile of jobs waiting to be resolved often make you shorten your mealtime every day. Instead of eating casually, you just eat at super speed, with the principle that the stomach is filled. If you continue to maintain this habit, do not be surprised if the weight scales have increased. Quoted from Healthline, a study shows that people who have fast eating habits tend to be overweight or obese. When eating too fast, the body is not given the opportunity to tell the brain that the stomach is full. Therefore, you will eat more than your body needs. The solution, try to slow down the mealtime by chewing more and enjoying each bite. So that the body has time to provide information to the brain that it is fully charged. Michael Breus, an expert who focuses on treating sleep disorders in America, states that when we close our eyes too little to sleep, our metabolism will slow down to save energy. This slowdown then triggers the hormone cortisol which can increase appetite. The body then thinks that you need a lot of energy so he asks for more food. In addition, lack of sleep causes the body to release more ghrelin (a hormone that signals hunger) and reduce leptin (a hormone that signals a feeling of fullness). The irregularity of these hormones ultimately makes you want to eat more and not have the sensitivity to know when to stop chewing. Not only that, in another study found evidence that people who lack sleep are at risk of having a belly or visceral fat. If left alone, abdominal fat can increase the risk of heart disease and type 2 diabetes. If you think drinking is a trivial habit, then you should stop the thought. People who drink less risk of getting various health problems, one of which can make weight gain fast. Research shows thirst is often misinterpreted by the body as a signal of hunger by the body. Therefore, the results of the study prove that people who drink two cups of water before breakfast consume 22 percent of calories lower in food than those who do not drink water at all. But don't get me wrong, not all drinks can be consumed at will. Research shows that people who drink soda every day have a waist size six times greater than those who don't drink at all. Other sweet drinks that contain sugar such as bottled drinks can also make your body weight rise quickly if consumed every day. For that, try to drink water because you don't have calories at all so you will avoid obesity. In addition, drinking water also has various other benefits such as healthy skin, helps remove toxins from the body, and smoothes your digestive system. Excess hunger is one reason why people gain weight. When someone feels hungry, he will eat in large portions. As a result, appetite becomes uncontrollable and devours all the food in front of it both healthy and not. Well, one way to combat excessive hunger is to eat snacks between meals. But not just any snack, because you should choose a healthy snack that can overcome hunger while curbing the desire to eat unhealthy foods. Try to eat snacks with a low glycemic index between large meals. A snack with a low glycemic index can help you fill up longer, preventing large meals. One of the healthiest foods with a low glycemic index that can be used as a snack is soybeans. Soybeans contain unsaturated fatty acids, fiber, antioxidants, and also protein. High fiber and protein content in soybeans can provide the energy needed and make you full longer. That way you won't be confused when you see food at your next meal. For that, choose healthy snacks from processed soybeans to fill your mealtime gap. Although often considered trivial, eating at regular hours turns out to have benefits for your health. If you don't have regular meals, then there are times when you will feel very hungry. As a result, you will eat as you please without control. In addition, studies have shown that people who have regular meals tend to feel less hungry before eating and will feel more full after eating. Conversely, people who have messy eating schedules will feel more hungry and eat more. This will also disrupt the body's internal clock which should have a regular process such as appetite and metabolism and digestion of food. As a result, people who do not have regular meal times have a high risk of chronic diseases such as metabolic syndrome, heart disease, insulin resistance, and poor blood sugar control. By having a regular meal time, you will easily control the portion and type of food consumed. In addition, eating on a regular schedule is also good for the health of the pancreas. Because the pancreas cannot work optimally to produce insulin on an empty stomach. 0 Response to "5 Trivial Habits That Make Fast Weight Rise"